The “Night Without Accident” was created in Belgium in 1995, the European Year of Young Drivers. More than 50 nightclubs participated. Since 1995, every year Responsible Young Drivers are present on a Saturday in October to inform young partying people. Since 2003, with the support of the European Commission, we have extended our action to 3 European Member States each year. We were active in 4 Member States in 2003, 7 Member States in 2004, 10 Member States in 2005, 13 Member States in 2006, 16 Member States in 2007, and 20 Member States in 2008. 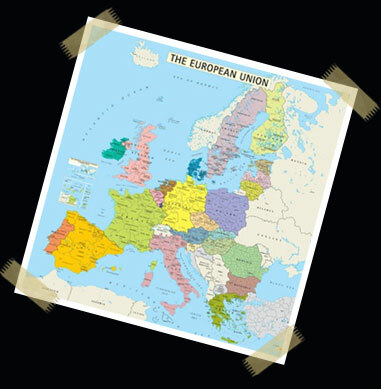 In 2009, the European Night Without Accident took place in 25 EU Member States and on the 16th of October 2010 we will be covering the whole European Union. Each year, ENWA takes place in more and more nightclubs, depending on the capacity of each partner organization. In 2004, volunteers were in 80 nightclubs, 100 in 2005, and 120 in 2006. In 2007, more than 150 nightclubs in Europe were breathalysing their drivers before leaving. In 2008, we were present in more than 180 nightclubs. In 2009, we were present in more than 200 nightclubs and 2010 we will reach the number of 220 participating nightclubs and many mentalities and behaviours changed and many lives saved. Why the European Night Without Accident? 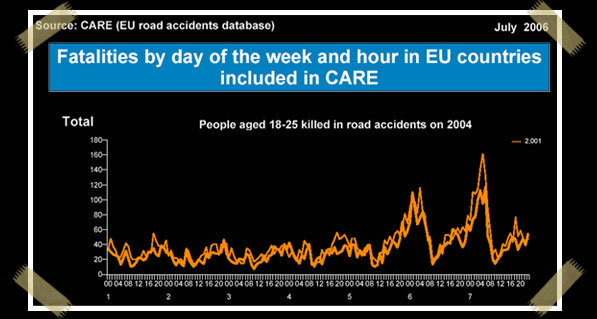 The European Night Without Accident was created after observing that at weekend nights there is a huge numbers of terrible accidents, and that most of them involve young people. This situation is the same all across Europe. Even if there is a light reduction compared to 2001 on the graphic, we can see that weekend nights stay the most dangerous nights of the week. As we look at the figures for the end of 2007, we can see again a light increase in the total of accidents. That is the reason why this European symbolic action has to set an example among other associations to encourage them to act during weekend nights all year long. We can already notice that some of our partners are doing it; they organize this kind of awareness actions during other periods of the year as well.